INDIA NEWS – At least 50 people were injured when separatists bombed a passenger train Sunday night. Official said. According to police, the blast happened in the Guwahati-Puri Express when it was nearing Ghograpara in western Assam. 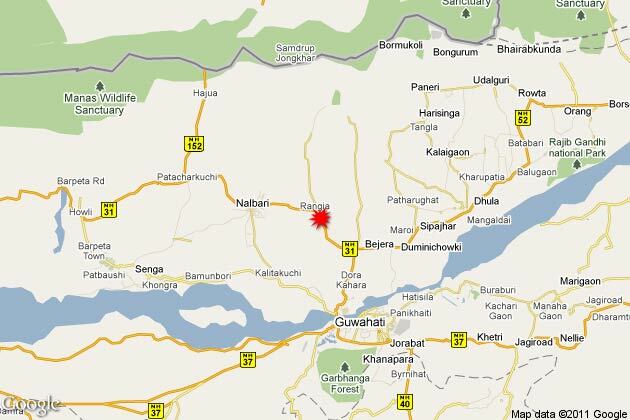 The explosion took place around 8:30 pm, about 70 km from Guwahati. A senior official said that the explosion derailed four coaches, which trapped scores of passenger. Many were critically wounded and admitted to the nearby hospital. The train was scheduled for Puri. An eye witness recalled the incident with horror, saying about 8:30 pm there was a loud blast and created total disarray. Four of the coaches derailed and one bogie skidded and fell about 20 meters away from the railway track. It is believed that the outlawed groups United Liberation Front of Asom (ULFA) and the National Democratic Front of Bodoland (NDFB) is responsible for this incident, though officially both groups still to declare it.